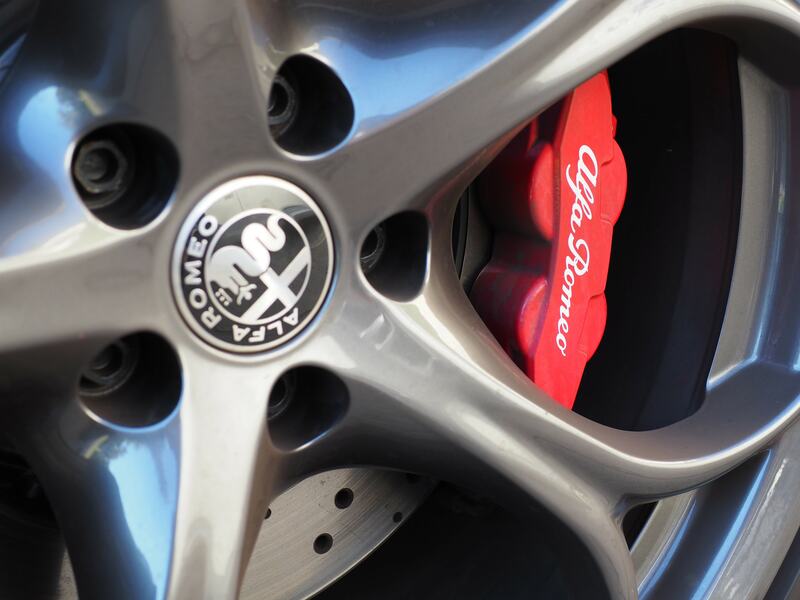 The Alfa Romeo Giulia is, in some ways, a moonshot by Alfa Romeo. 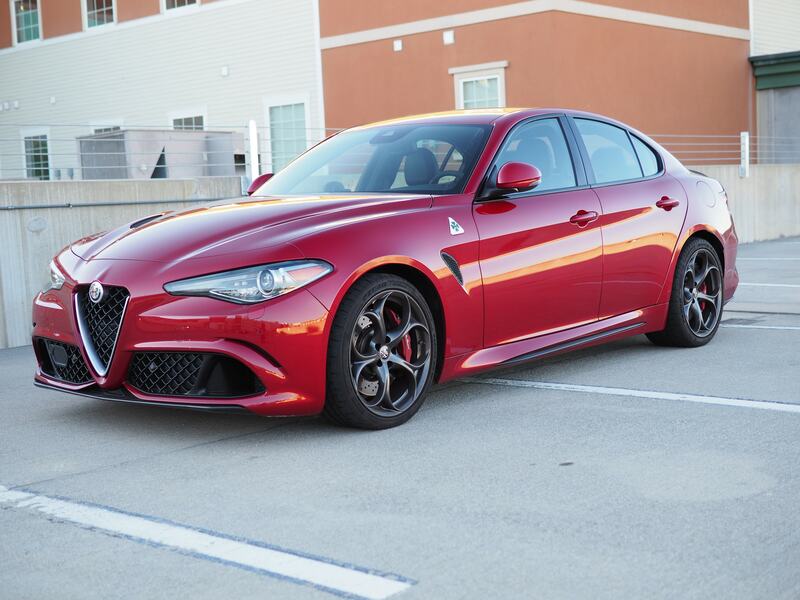 For Americans, we haven’t seen an Alfa Romeo sedan in a very long time. The Alfa Romeos that we have seen have been coupes or convertibles, and they have been very rare. The Giulia—and the Stelvio—are Alfa Romeo’s attempts to recapture the American market. Thanks to a friend, I was able to get seat time for a week in a 2017 Alfa Romeo Giulia Quadrifoglio. The experience of getting a press car is likely going to be a blog post in and of itself, but for today, I want to talk about the car. This is my first effort at doing, well, anything like this. The video has some areas for improvement, but I’m proud of it. I hope it comes across as a great starting point for something big, because that’s what I think it is. If you’d like to give me feedback about the video, please contact me. The Giulia, in general, is in many ways a competitor to my current car: the BMW 3-series. Though it felt a bit larger than my E90, it definitely felt as though it was in the same segment. Interestingly, much like the 3-series, the Giulia has quite a broad reach. The “beater” model is $38k, which is aspirational but attainable for many people. The range continues all the way up to the car I tested, the Quadrifoglio, which starts at almost $75k. The car I drove is in many ways a BMW M3 competitor. An M3 competitor with a 500+ HP twin-turbo V6 that is—by all reports—sourced from the Ferrari California. In many ways, the Giulia Quadrifoglio is not shy about the notion that it’s chasing, and possibly catching, the M3. So much of the Giulia felt eerily familiar to me. As has been said, great artists steal, and Italy is nothing if not a country of great artists. In this case, the interior designer clearly stole from BMW. To my admittedly biased eyes, that’s a great place to steal from. The infotainment was a knockoff of BMW’s iDrive. It wasn’t as nice, nor as intuitive, but it was nice enough and intuitive enough to keep me from getting infuriated. In fact, the only thing that really drove me bananas was being compelled to manually re-enter Bluetooth audio mode (to listen to audio from my iPhone) every time the car was started. Otherwise, the interior was nice. The build quality felt great and easily on par with its German neighbors. Switchgear felt great and was obviously located. There was some Italian flair, of course. The steering wheel is flat-bottomed. The start/stop button is on the wheel, rather than on the console. The turn signals would return to center—much like BMW—but could only be canceled by pushing the opposite direction. (My car lets you cancel by re-engaging the signal in either direction.) Even at the end of the week, it infuriated me. Nevertheless, cars aren’t really about their interior, and the Quadrifoglio is definitely not. It’s about being on the road. When Race mode is engaged, the exhaust gets louder, and has a different pitch. Stability control is turned off. Traction control is turned off. 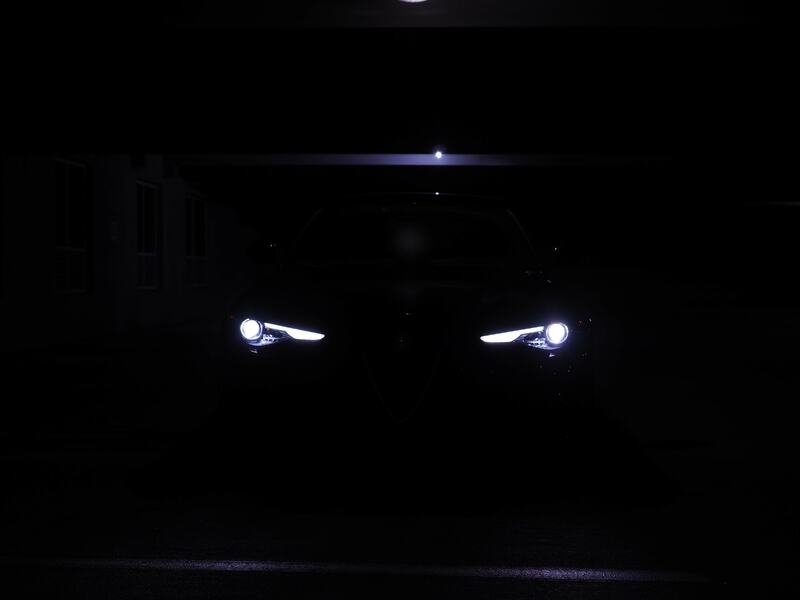 The car is 100% raw, and is 130% ready to murder you. There is no way to turn traction nor stability control back on. When you’re in Race mode, there is no turning back. One thing I wished so badly was for the car to have the ability to use the Race mode exhaust, throttle response, engine timing, and everything else, but not disable traction nor stability control. I know my skills, and they left me wanting. I need a parachute. However, the Quadrifoglio in full attack mode is vicious. The shifts are nearly instant, and the response is too instant for a forced induction car, unless you’re really low in the rev range. Whenever I hit redline, the car felt like it had much more to give. It was champing at the bit, begging for more. 500+ HP will do that to you. Furthermore, despite the car having one of the much-maligned electric power steering systems, I actually couldn’t tell. During the time I had the Giulia, before I looked up what kind of power steering it used, I wasn’t sure by feel alone if it was hydraulic or electric. Thinking about it, that’s about the biggest compliment I can pay the steering. This car absolutely has an Achilles heel, and it is the transmission. I’ve been a devout driver of standard transmission cars for my entire life. I don’t want to buy anything else, ever. I hate relinquishing the control of the car to a computer. I want to be the one that decides when to shift. I want to be the one that is challenged to shift effectively, quickly, and smoothly. I want it to be all about me. 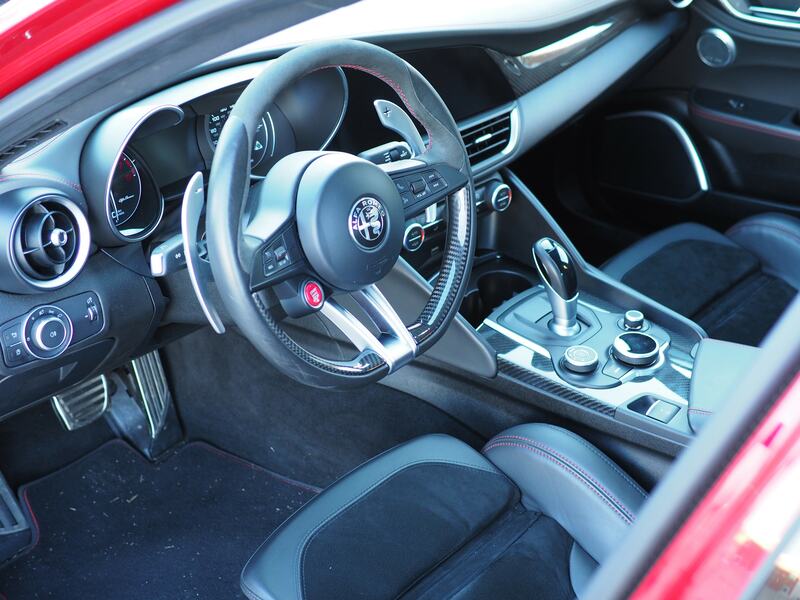 The Giulia is powered by a ZF 8-speed automatic transmission. Not a dual clutch, but a true, torque-converter-included, automatic. Stop the review, I’m out. I had heard many, many times in the past that the ZF 8-speed, used in many modern BMWs among others, is really good. Like, really good. I remained skeptical, though. Give me a clutch pedal—even a computer-operated one—or give me death. After a week with the Giulia, I’m not so sure I was right. 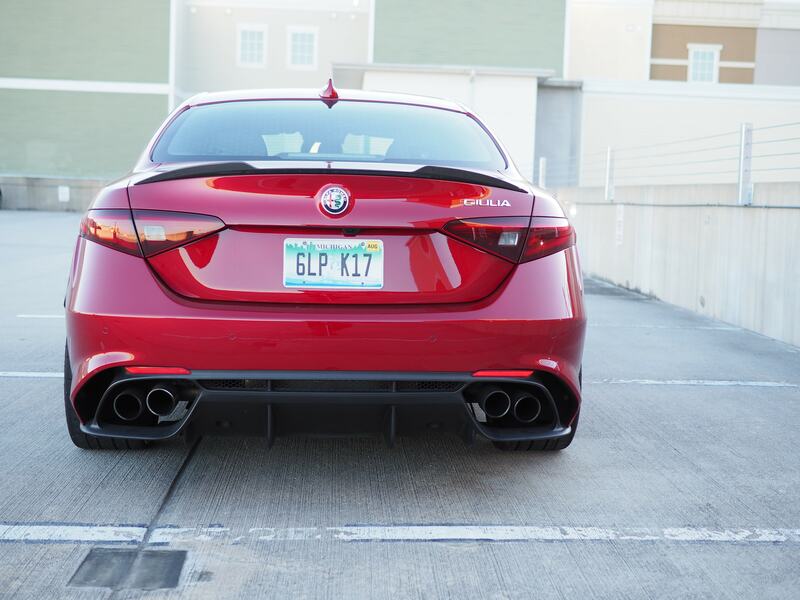 The Giulia Quadrifoglio is a stunningly, stunningly fun car to drive. And though I occasionally missed rowing my own, often times, just wrenching back on the + paddle gave me nearly the exact same feeling. Sure, there are few things in the world that can match a perfect, heel-toe, rev-matched downshift. But holy hell, hearing and feeling this thing rip through the gears, pulling on the paddles like the leash on a rabid dog, was amazing fun. My entire life, I’ve defined myself in many ways, not the least of which is my preference insistence on driving a manual transmission. I sneered at all the old mustachioed men in their automatic Corvettes, buying a car that was ostensibly about performance, but in reality about showing off. I snickered every time I saw a DCT M3 outside of the track, attributing the choice to laziness or ineptitude rather than performance. Now, I’m not sure what to think. I had so much fun in the Quadrifoglio. More fun than I ever expected. To be sure, I expected to have quite a lot of fun. But as it turns out, a properly tuned automatic, which favors locking itself up as often as possible, can get me 80% or 90% of the way to perfection. In fact, it can make me happy in ways a stick can’t, particularly in traffic. The Giulia Quadrifoglio made me rethink what I thought about transmissions. What I thought about cars. What I thought, and think, about myself. Which is a hell of a lot to get out of a week with a hunk of metal.